Berlin: Prime Minister Narendra Modi and German Chancellor Angela Merkel have held "very good" discussions on a range of bilateral, regional and global issues like the Brexit consequences, trade and radicalisation in the context of recent terror attacks in Europe. In their informal talks on Monday at Schloss Meseberg, the chancellor's official country retreat near Berlin, both leaders also exchanged views on China's 'One Belt, One Road' (OBOR) initiative and climate change. "Had a very good interaction with Chancellor Merkel," Modi said in a tweet after his meeting. "The interaction lasted nearly three hours, and covered various areas of mutual interest including smart cities, skill development, clean energy etc. There was appreciation for India's economic reform agenda, including GST (Goods and Services Tax)," a Prime Minister's Office statement on the meeting said. "The leaders had discussions that covered the bilateral agenda and how Germany can partner with India on its flagship programmes. There was appreciation of India's reform agenda, particularly GST," India's ambassador to Germany Mukta Dutta Tomar told reporters at a briefing here on Monday night. Highlighting that this is Modi's second bilateral visit to Germany since 2015, she said that the ease of doing business in India and the fast track mechanism set up in 2015 to assist German businesses work in India received appreciation from the German side. "In fact, there has been foreign direct investment of $2 billion (from Germany) in the past two years. The figures speak for themselves," she said. 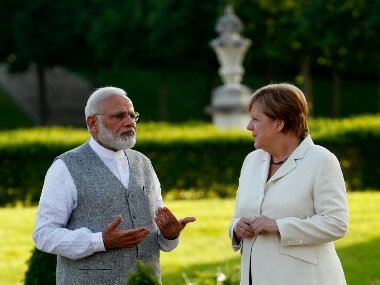 Regional and inter-global issues were also discussed during the three-hour-long interactions — some at the delegation level and some one-to-one between Modi and Merkel. 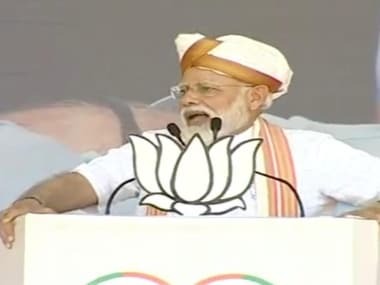 "The consequences of Brexit (the UK's exit from the European Union) and how it would affect India and Germany were covered by the two leaders," Tomar said, adding that the prime minister reiterated the utmost value that India attaches to the EU's cohesiveness, which is a major factor of stability in global politics. The Belt and Road Forum in Beijing earlier this month, where Germany was represented by its economy and energy minister, also featured in the exchange, during which the chancellor explained German participation and India reiterated its stand against the initiative, she said. "Our position is well known on this issue," the ambassador said, in reference to India's opposition to the China-Pakistan Economic Corridor, the flagship project of President Xi Jinping's Belt and Road initiative, which passes through Pakistan-occupied Kashmir (PoK). including Minister for Science and Technology Harsh Vardhan, Commerce Minister Nirmala Sitharaman, Energy Minister Piyush Goyal and Minister of State for External Affairs MJ Akbar. The prime minister will receive a ceremonial welcome with military honours at the chancellery, the office of the German chancellor, following which he will begin discussions with Merkel across a range of economic and political issues. At the IGC, the two leaders are expected to clinch a host of agreements and sign memorandum of associations (MoUs) to open a "new chapter" in India-German relations. external affairs said in a statement. India and Germany have over 25 working groups, including in areas such as climate change, energy, infrastructure, and tourism. There are more than 1,600 German companies and 600 German joint ventures in India and the German economic profile supports excellence and expertise that match with India's development priorities of Make in India, Clean India, Skill India, Digital India, Smart Cities, the MEA said. 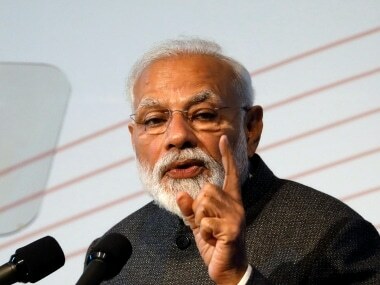 "We will chart out a future roadmap of cooperation with (the) focus on trade and investment, security and counter-terrorism, innovation and science and technology, skill development, urban infrastructure, railways and civil aviation, clean energy, development cooperation, health and alternative medicine," the prime minister had said in a Facebook post before he left for Berlin on Monday. Modi and chancellor Merkel will also hold a meeting with senior business leaders before inaugurating the India-German Business Summit 2017 later on Tuesday. "Economic relations with Germany is the most important pillar of our partnership. It has preponderance over other areas," the MEA said. Modi will end his Germany visit with a courtesy call on German President, Dr Frank-Walter Steinmeier, at his official residence of Castle Bellevue before leaving for Spain. Modi arrived in Germany on Monday at the start of his four-nation tour, which will cover Spain, Russia and France besides Germany. select group of Spanish CEOs keen to invest in India. "There is significant potential for deepening bilateral trade and investment ties. 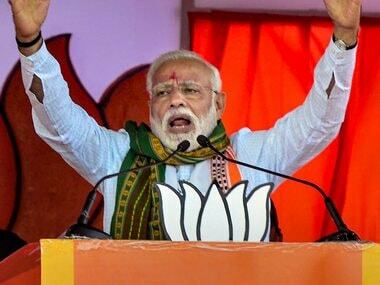 We seek active participation of Spanish industry in various Indian projects including infrastructure, smart cities, digital economy, renewable energy, defence and tourism," Modi had said ahead of his visit. The first meeting of the India-Spain CEOs Forum will be held on the sidelines of the Spanish leg of the visit.